In Apr 2016, his dejection was captured and hit the headlines around the globe. West Indies created history by becoming the first team ever to win their second ICC World T20 title, defeating England in the final of the 2016 edition at Kolkata in the most spectacular fashion. Needing 19 to win off 6, Carlos Brathwaite smashed four sixes off the first four balls of the final over, taking West Indies to a memorable win over England. West Indies captain Darren Sammy spoke in depth stating - I’m going to celebrate with these 15 men and coaching staff. I don’t know when I’m going to be playing with these guys again because we don’t get selected for one-day cricket. We don’t know when we’re going to be playing T20. So this win, I want to thank you my team, I want to thank you coaching staff … everybody know West Indies are champion!” – sad, in a way, because they had their share of trouble in selection policy, sponsorship and more, yet they won in style ! - earlier, their women team converted their maiden appearance in a World Twenty20 final into a historic victory in Kolkata, beating three-time defending champions Australia for the first time in a T20 international by pulling off the second highest chase in the tournament's history. The heroes of the daunting pursuit were 18-year old Hayley Matthews and the captain Stafanie Taylor, whose half-centuries and 120-partnership came at more than a run a ball. Their effort left West Indies with two runs to get off four balls, and when Britney Cooper pushed to Megan Schutt at midwicket and sprinted, what should have been a run-out at the bowler's end resulted in the overthrow that sealed the title. 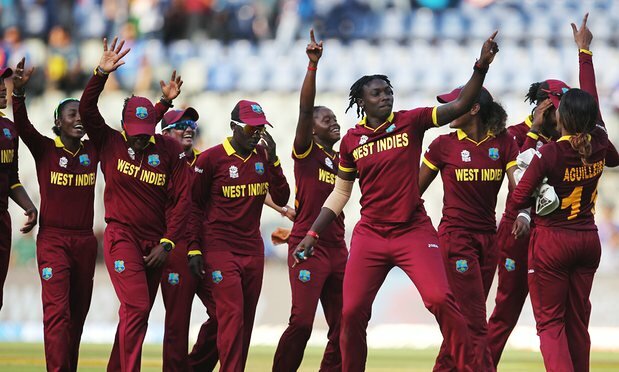 Their team-mates blazed a trail on to the field and the women were soon joined by the West Indies men in joyful celebrations in the middle of Eden Gardens. IPL 2016 is over - Sunrisers Hyderabad clinched the IPL 2016 title by beating RCB by 8 runs in the final. RCB had the best possible line-up – that of Virat, Gayle, Rahul, de Viliers, Watson – yet they lost in the finals. Kohli amassed 973 runs in this edition spending over 1000minutes in the middle, hitting 36 sixes in the tournament – most by any batsman. Interestingly, South African speedster Dale Steyn is quoted as saying that sitting out of the IPL games during this edition had given him time to develop a couple of new tricks in the nets. The pacer, who had signed for the Gujarat Lions, was overlooked for much of the tournament held between April 9 and May 29, with Aaron Finch, Brendon McCullum, Dwayne Bravo and Dwayne Smith getting the nod most of the time. "Unfortunately this year I had to sit on the sidelines, but that was okay as it gives you a different perspective. I watched the games from the side, sat back without that pressure to perform and win games," Steyn was quoted as saying by cricket.com.au. SRH had the best bowling line up – Bhuvneshwar kumar, Ashish Nehra, Trent Bolt, Bipul Sharma, Ben Cuttings, Brainder Sran, Moises Henriques …. ..and Mustafizur Rahman, whose participation in the English Twenty20 tournament for Sussex is now in doubt ! The 20-year-old bowling sensation, nicknamed Fizz, returned home this week to a hero’s welcome after helping Sunrisers Hyderabad win taking 17 wickets from 16 matches. Rahman was named emerging player of the tournament, the first foreign cricketer to be bestowed with the honour, after conceding just 6.9 runs per over, the most miserly among those who bowled in at least 10 matches. His possible playing for Sussex seems to have hit a stumbling block after the Bangladesh Cricket Board said they would first assess his health before allowing him to join the English side. Bangladesh national team physio Baizidul Islam said Rahman did not aggravate any of his injuries in the IPL, but that the board was worried over his recent workload. “He needs some rest to remove the stress. If he continues like this he may collapse any time. We need to assess him carefully to see how long he needs to stay away from cricket,” he added, reports Indian Express. IPL 2016 registered a consistent wave of activity on Twitter, with over 10.6 million tweets about its matches this season, according to figures released by the social media website. Twitter India released data for the popular Twenty20 tournament in the 60 days between 9 April and 29 May. The tournament emerged as the fastest growing sports league on Twitter recording a growth of 300% in the number of followers for its account @IPL, between 2014 and 2016. Of the many who played, the best buy is adjudged to be the short leg-spinner who was earlier bought for the lowest 10 lakhs reserve price and retained this year. That little paid short person snared 21 wickets becoming the most under-valued player in the whole tournament, according to a system devised for valuing players called Estimated Value. Today, on Star Sports @ 9 pm, there is football action and all seemed known faces – one cannot be faulted. It is Celebrity Classico 2016 at Mumbai Football Arena, Andheri Sports Complex with an objective to generate funds for the foundations' charitable initiatives. Virat leads All Heart Football Club with so many cricketers playing. Away in Guayana, Kieron Pollard and Sunil Narine were controversial inclusions in West Indies' squad for the ODI tri-series. They had not played international cricket since November 2015, and did not take part in West Indies' domestic 50-over competition, which was considered to be one of the WICB's criteria for selection. The two of them, however, proved the match-winners in the opening game of the tournament, with Narine's 6 for 27, the best ODI figures by a West Indies spinner, helping bowl South Africa out for 188 and Pollard's unbeaten, run-a-ball 67 sealing a four-wicket win. The losing Captain AB deVilliers identified the last 10 to 12 overs of South Africa's innings as the period of play that cost his side the match in their tri-series opener against hosts West Indies in Guyana. South Africa had made 130 for 2 in 30 overs, immediately, de Villiers got out and thereafter, the innings fell apart, with the last five wickets falling for 16 runs to leave South Africa 188 all out. Phil Simmons, West Indies' head coach, praised the pair's contributions, highlighting Narine's effort to bounce back from a difficult period, in which he has remodeled his bowling action after it was found to be illegal.